In 2016, the transportation sector greenhouse gas emissions eclipsed energy generation sector in the United States. 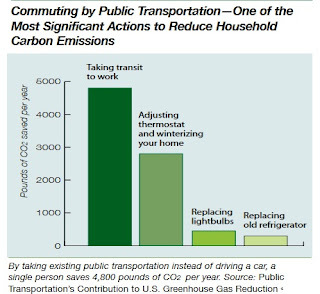 Walking or bicycling can have a dramatic impact on an individual's climate "footprint." 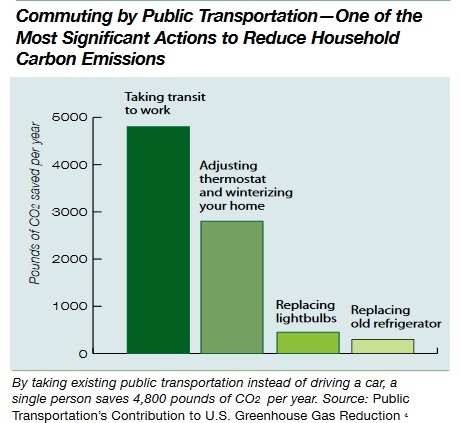 Switching from private car commuting to public transportation can also make a big difference. This means we must prioritize plans and programs that reduce the numbers of private car trips (by design and/or by pricing), especially those made with only one occupant per vehicle, and increase the number of trips made by walking, biking, public transportation, and car pools. This is not some happy hippy dream world. This is what we need to do in order to move toward clean renewable energy and meet Paris Climate Accord targets. And this is what we must support and push at public hearings. 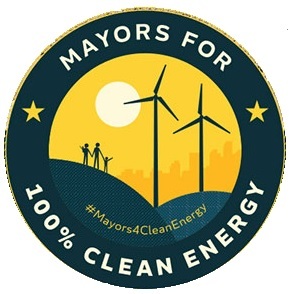 We have a climate-committed Mayor and a new and active City Council. We have labeled ourselves "sustainable," and we have forward thinking city and county planners who get it. Now, it's time for US to help them by showing up at these meetings and being vocal in our support. [*For more on taxpayer subsidized low cost or free parking in the city, see this excellent article by Chris Hubbuch in the March 16 La Crosse Tribune: The price of parking: La Crosse eyes changes to fees, technology. August 17 at 4:30 pm. in the City Hall Fifth Floor Conference Room, the Sustainable La Crosse Commission will meet to discuss 2016 Sustainability Indicators and will identify sustainability projects to be supported and promoted in 2018. If you have suggestions, email committee members before August 17 or attend the meeting if you can. The Board of Estimates will be meeting on September 11, 12, 19 and 20 to go over the 2018 operating budget. All are held in the Common Council chambers starting at 4:15 PM. I recommend checking in with our office as we get closer to those dates to confirm. Typically the first two meetings (11th and 12th) are presentations from the city departments on their 2018 requests. The last two (19th and 20th) are the deliberations by the BOE. The final recommended budget is usually put together and voted on by the BOE on October 9th and 10th – after we get final info from the State of Wisconsin. It would be great if one person or a team of people had time to monitor the city's Legislative Information Center (which you almost have to do on an hourly basis sometimes) to peruse agendas when they are published (often very shortly before the meeting time) and alert us when something will be coming before committees. If anyone would like to volunteer for this task, please email! In the meantime we will try to note important meetings where public input is required and/or invited. And ... NOT a meeting, but an opportunity for public input. The city's Bike Ped Advisory Committee is updating its "Suitable for Bicycles" map. They want to make sure that streets marked in green are comfortable for people to ride on. What routes do YOU choose when you bike to work, school, shopping, etc? If you were sending a family with children off on a day of bicycling around the city, what streets would you mark as safe? Check the draft map here, and submit your comments by August 14.